Os quilts continuam a chamar por mim e apeteceu-me pôr em prática o que aprendi na aula passada: construir um bloco log cabin. Como a motivação para grandes projectos ainda não chegou, numa tarde fiz uma almofada para a sala com as minhas cores preferidas. 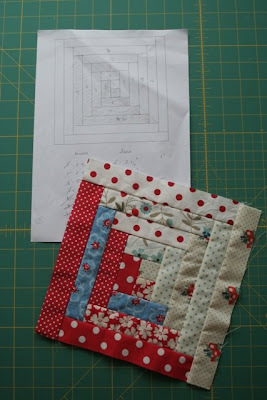 I'm still feeling the quilt appeal and I had the urge to practise what I learnt in class: building a log cabin block. 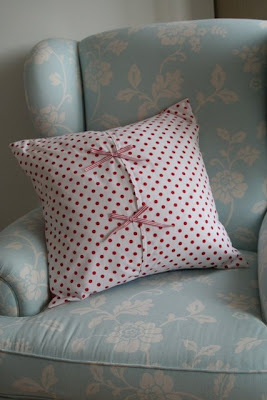 I'm not in the mood for big projects so I made this pillow in my favourite colours in an afternoon. Tradicionalmente, o bloco log cabin tem uma construção bipartida claro/escuro. No entanto, resolvi bend the rules e optei por um ar mais desarrumado para a almofada. Estou contente com o resultado -- o que acham? 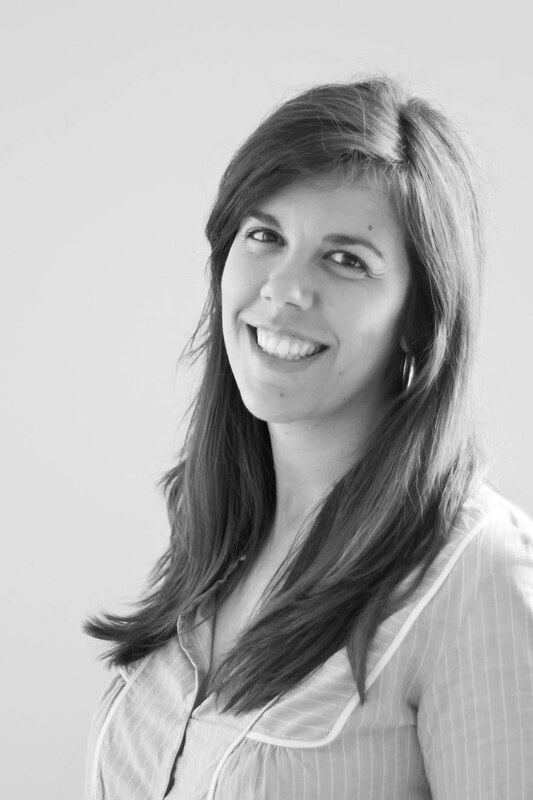 São pelo tradicional ou pelo inesperado? 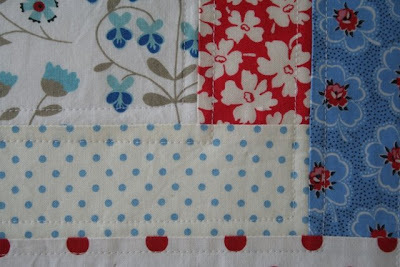 Traditional log cabin blocks are pieced in a way that enhances dark vs. light fabrics. Nevertheless, I decided to bend the rules and go for a random look. I'm quite happy with it -- what do you think? Do you prefer traditional or unexpected? unexpected, it wins me over every time! 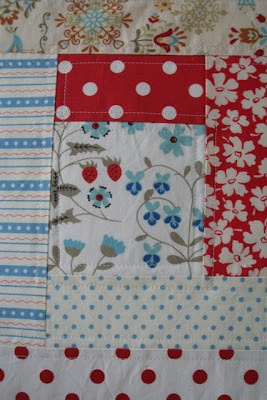 I love the fabrics you chose - that would make a beautiful quilt. 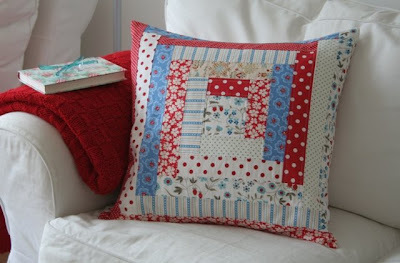 I have no idea how the traditional should look :) but I just love your pillow! The colors are just perfect together (and my favorites too) as is the whole thing! I'm definetely choosing yours!!!! the colours are perfect and so are the prints...wow!!! great little project! I like both, but unexpected is better for single block. 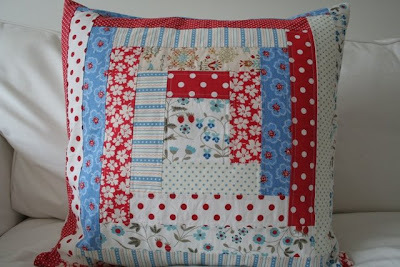 Lovely pillow and very nice traditional block! Adoro o inesperado, a "desarrumação". A tua almofada tem muita personalidade, sem dúvida! 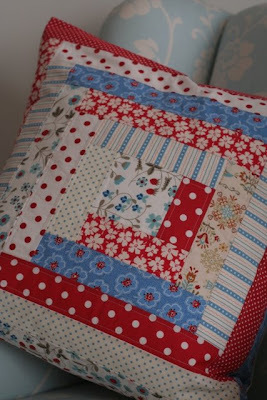 Log cabin quilts look fantastic no matter what. I love the colours you chose too! e fica muito melhor assim "desencontrado"! the fabrics just take you back in time. Nice choices.